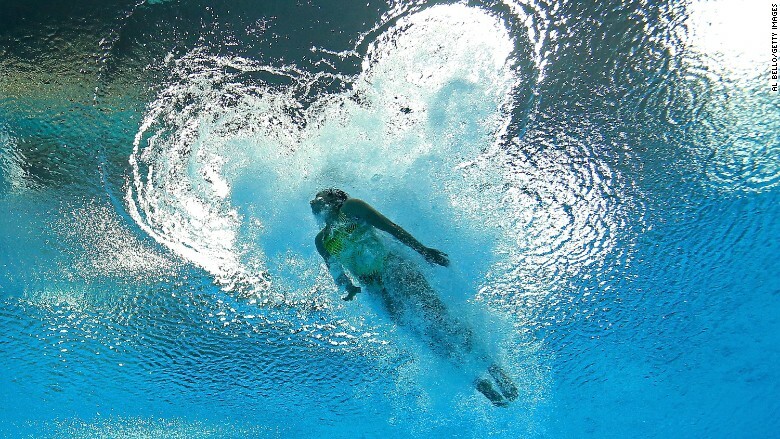 The 23-year Getty Images veteran is using underwater robotic cameras at the Rio Olympic Games during a series of aquatic events, including swimming, diving and synchronized diving. The robots help Bello get far more versatile photos of swimmers taken from the bottom of the pool — the shots you later see in news articles and broadcasts. 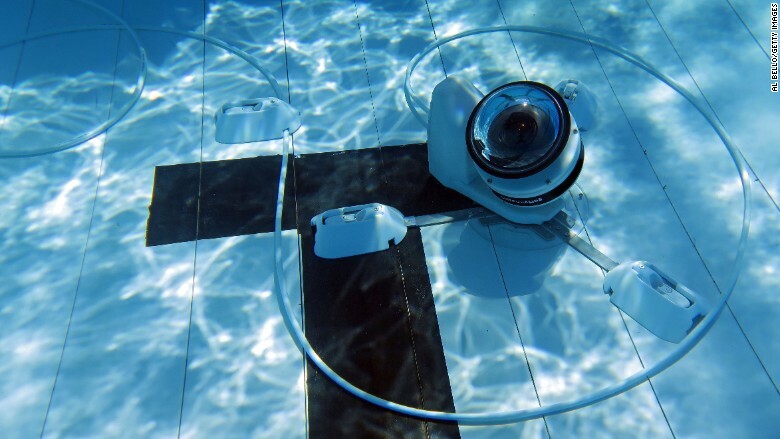 Although this isn’t the first year underwater robotic cameras will be used at the Olympics — Getty competitor Reuters used similar robots during the 2012 London Olympic Games — the method is catching on. 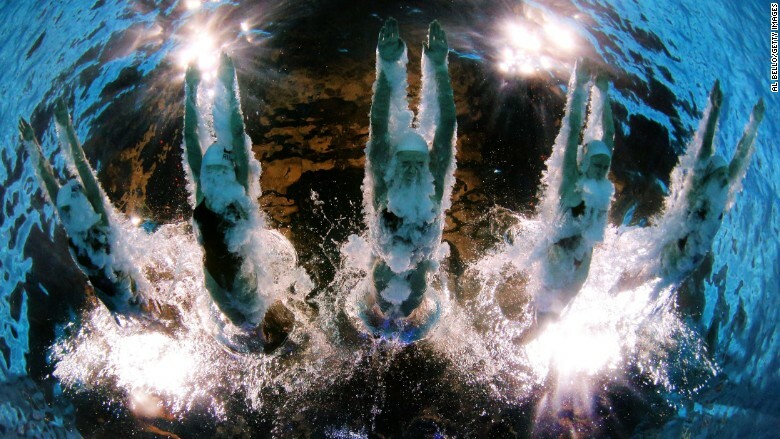 Underwater robots will help photographers take photos at the Olympics this summer. If the camera’s placement was slightly miscalculated and a swimmer’s fingertips were cut off in images, photographers were unable to fix the issue until after the swim session wrapped. Photographers, who use a remote control trigger to take the pictures, are not allowed in the water during competition. With two sessions each day that last for several hours apiece, the stakes are high to secure solid photos, especially when eight to 10 other photo agencies are gunning for similar underwater shots. Each organization is allowed only one camera in the pool at a time. Photographers get their robotic cameras ready. Now, Getty’s underwater robots give photographers the flexibility to make changes in real time. The robots don’t move along the bottom of the pool, but its housing pod allows the camera — a Canon (CAJ) 1DX Mark II — to adjust slightly. During a competition, Bello stands near the finish line in front of a live computer screen, with a video game controller to access the camera from afar. He uses the robot’s features and the remote trigger, coupled with his best judgment, to capture a swimmer as he or she comes into the frame. A robotic camera snaps a photo from down below. Bello and his team — which includes two other Getty photographers, Clive Rose and Adam Pretty — will be using the same method when they rotate sessions and equipment throughout the Olympics. The agency, which declined to comment on the robot’s pricing, brought two to Rio. Robotic cameras will appear in many forms throughout the games this summer, largely overhead at the major venues. Photographers and technicians have been working since early July to install them across the city. 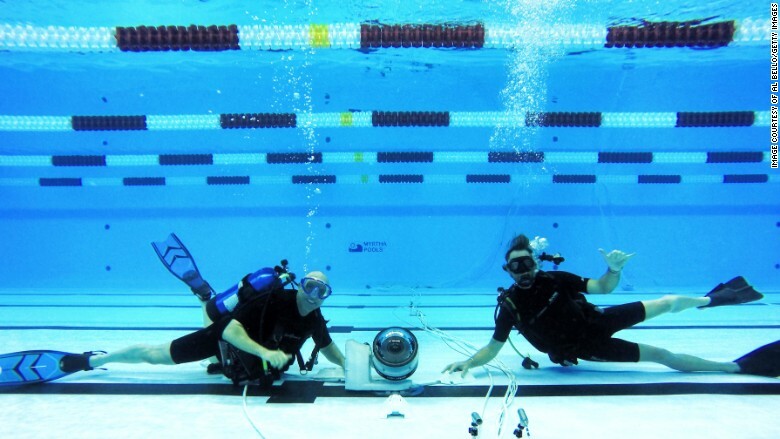 But for Bello and the team, all of whom are SCUBA certified, the photographers check on the underwater robots and troubleshoot at the bottom of the pool each day. Meanwhile, the cables that power the equipment, which run about 200 feet across the length of the pool and up onto the deck, are also routinely monitored. Even though robots have an increased presence at the Olympics, Bello believes the cameras won’t be replacing the need for human photographers anytime soon. Getty recently opened up a free part of its image collection to consumers with the launch of an Olympics-focused photo site. Traditionally, Getty Images are often downloaded (and purchased) by businesses, mostly media outlets. But the platform highlights about 5,000 Olympics photos each day, including some taken by Bello and the team, into one place that’s easily shareable on social media.